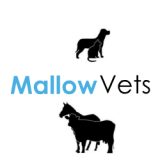 A professional and personal service for the animal owners of the Mallow area. I graduated from The Veterinary College of Ireland, University College, Dublin in 2001 with honours in the major subject of Veterinary Clinical Reproduction. Since qualifying, I have worked in progressive veterinary practices both in Ireland and abroad and always endeavoured to enhance my knowledge, skills and expertise. John Collins, Vet Surgeon in Mallow, of Mallow Vets is a graduate of The Veterinary College Ireland covering all aspects of veterinary medicine.